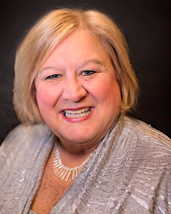 Carol Swartz Fritz has been in the mortgage industry since 1993. She is one of the top loan officers in the Central Illinois area and is able to offer many mortgage options in several states. Although Carol can do all types of mortgage loans, she specializes in first-time homebuyer programs. Over the years, Carol has won numerous awards for being a top producing loan officer, including President’s Club, President’s Council, and Chairman’s Circle. For several years, Mortgage Originator magazine also awarded her a spot in the Top 200 FHA/VA loan officers in the nation. Carol graduated from Eastern Illinois University. She also is a graduate of the prestigious Chamber of Commerce’s Decatur Leadership Institute. She enjoys quailty time with her children, grandchildren, as well as her five brothers and sisters. Carol looks forward to continuing to help families achieve the American Dream of homeownership! Contact her today for all your home loan needs!